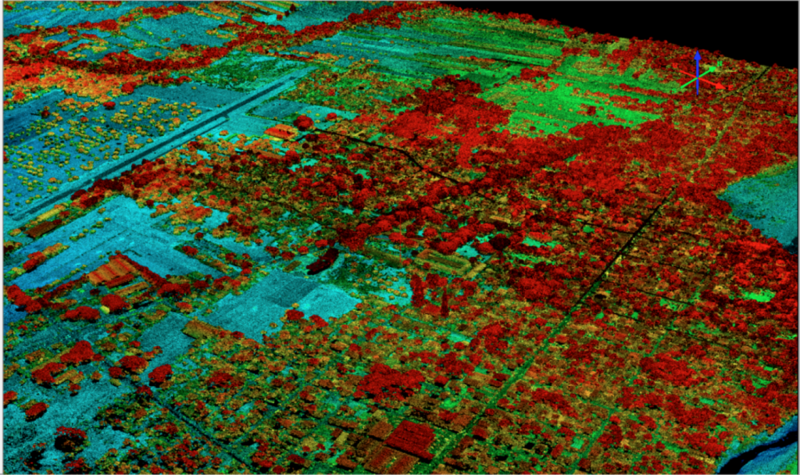 In the second of a three-part series, we explore the role lidar has come to play in preparing for and reacting to natural disasters and our increasing reliance on lidar data for flood risk management, earthquake preparedness, agriculture and precision farming, and environmental assessment. 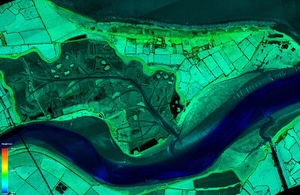 At the end of 2017, the UK Environmental Agency (UKEA) announced that by the year 2020 they would map England’s entire landscape using airborne lidar technology data “to assess flood risk and inform conservation work”. This map will cover all 130,000 km2 of the country, including rivers, fields and national parks — an area that can accommodate 32 million football fields (a statistic sure to warm the hearts of a football-crazy nation). They will use the data to plan flood defences across entire river basins, assess wildlife habitats, and help environment officers catch people dumping waste illegally by detecting sudden changes in the landscape. This may seem far-fetched, but in 2014 they detected and fined eight people in Cornwall for dumping 4,500 m3 of waste based on the data in their existing lidar maps. The 3D Elevation Program (3DEP) is a major initiative by the US Geological Survey (USGS) to gather high-quality lidar elevation data of the United States, Hawaii and US territories. These 3D representations of natural and constructed above-ground features are expected to benefit federal, state, and local governments, as well as private industries. Collection is on-going, but the partially completed maps are already bearing fruit: In one instance, with the help of lidar data the USGS discovered a surface rupture along the State of Washington’s Tacoma Fault. This could have severely impacted the $735-million Tacoma Narrows suspension bridge, so a redesign of some of the bridge’s structural elements was set in motion, thereby averting a potential disaster. More than 7000 islands make up the beautiful green archipelago of the Philippines. However, the islands also have the unfortunate distinction of being visited by 20 typhoons in a normal year. Flooding, mud and landslides are part and parcel of life in this part of the world. In 2011 the government invested in the Disaster Risk and Exposure Assessment for Mitigation (DREAM) Program in the hope of producing up-to-date, detailed, and high-resolution 3D flood hazard maps for critical river basins. The DREAM Program subsequently transitioned into the Phil-LiDAR 1 Program, with the target of mapping 262 river basins. Now, the Phil-LiDAR 2 Program aims to produce detailed resource maps using lidar technology for various applications: production of high-value crops, irrigation assessment, aquaculture production, forest protection and discovery of renewable energy sources. In the future, they hope to use lidar in wind-flow modelling and the pre-construction design of wind farms. Airborne lidar systems make it easy to collect high-resolution elevation data over truly massive areas. With this detailed bird’s-eye view, planners can model how natural disasters may play out, and how to reduce the harm that they pose. England, the Philippines and America have led the way in the use of lidar for disaster management, but many more are sure to come!